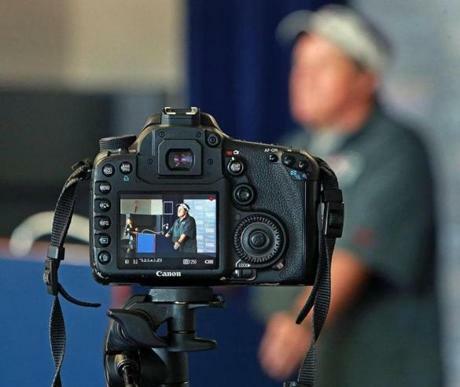 Bill Belichick held his daily press briefing at the stadium. 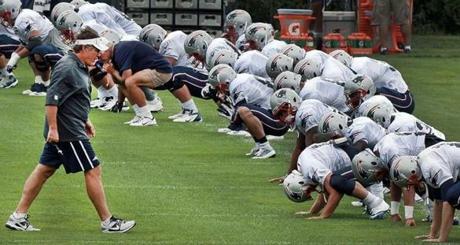 It was a sea of Flying Elvises as the Patriots began their workout Monday. 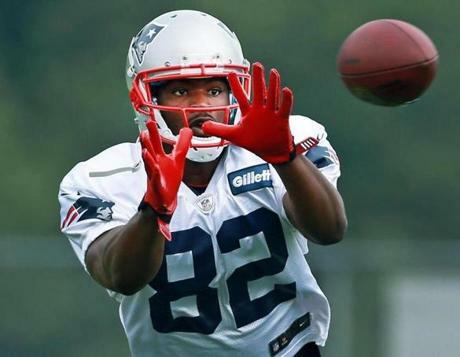 With player cuts looming, the number of men on the field will be dwindling. 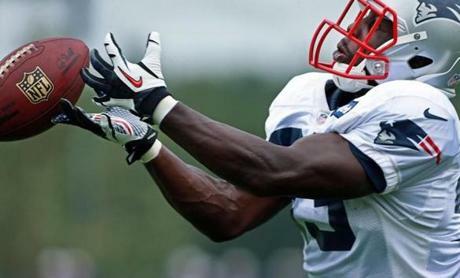 Bill Belichick has decisions to make in the next few days on who makes the team. 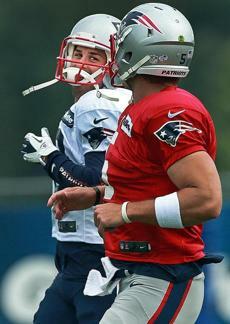 Danny Amendola, left, smiled at teammate Tim Tebow as they ran during a drill. 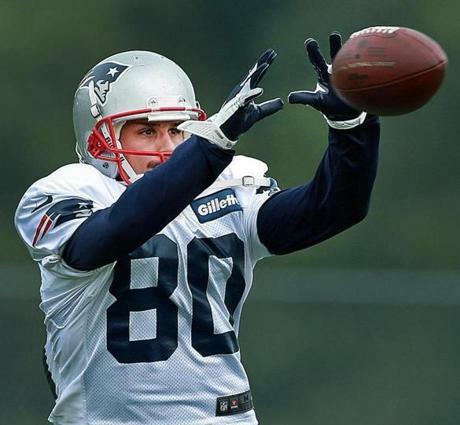 Danny Amendola was back on the practice field after missing time last week. 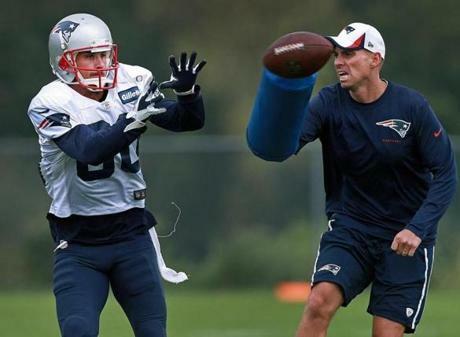 Amendola had his eyes on the ball. 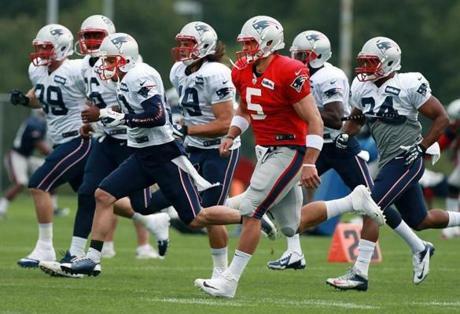 Tim Tebow was with running backs, tight ends, and wide recievers during a drill. 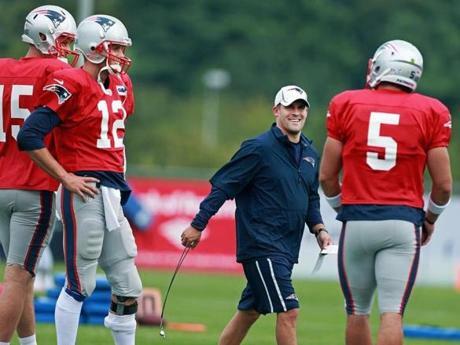 Offensive coordinator Josh McDaniels had a laugh with quarterbacks (left to right) Ryan Mallett, Tom Brady, and Tim Tebow. 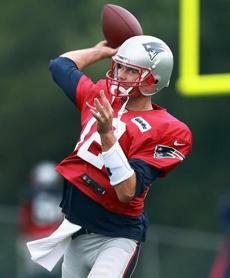 Tom Brady fired a pass. Running back Leon Washington couldn’t keep his hands on the ball. Rookie wide reciever Josh Boyce hauled in a pass.